Aabru Art’s Transcending Boundaries 2015 is back for its third year – featuring exceptional never-before-seen artworks by 35 artists. As always, Transcending Boundaries 2015 will be hosting select events highlighting the thriving cultural life of Africa. The show offers an opportunity to invest in pieces by well-known masters in their region and internationally emerging artists of great quality. This year, Aabru Art is proud to collaborate with Lacey Contemporary Gallery, an exciting new Holland Park Art Gallery exhibiting artists from the contemporary emerging art markets. Together, Lacey Contemporary Gallery and Aabru Art are paving a path for Modern and Contemporary West African Art in London. 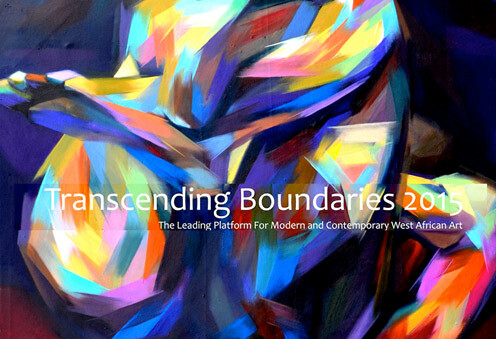 Transcending Boundaries 2015 is the largest selling Modern and Contemporary West African show in London and a venue for people to admire and buy varied paintings and sculptures – mixed media, oil on canvas, wood, metal – ranging from £2,000 – £15,000. Show begins with a 2-day champagne reception programme at Asia House and continues with a 3-week exhibition and events programme at Lacey Contemporary Gallery. Lacey Contemporary Gallery is proud to work with cutting-edge emerging artists, offering a beautiful new space situated in the fashionable Clarendon Cross, in Holland park, and providing the perfect setting for these exquisite West African artworks. Transcending Boundaries 2015 runs from the 24 April – 11 May 2015 at Lacey Contemporary Gallery featuring a programme of events that celebrate and educate on African Art and Culture. Contact info@laceycontemporarygallery.co.uk for more information and a detailed programme.